Diddy Kong Racing review – how does it play today? 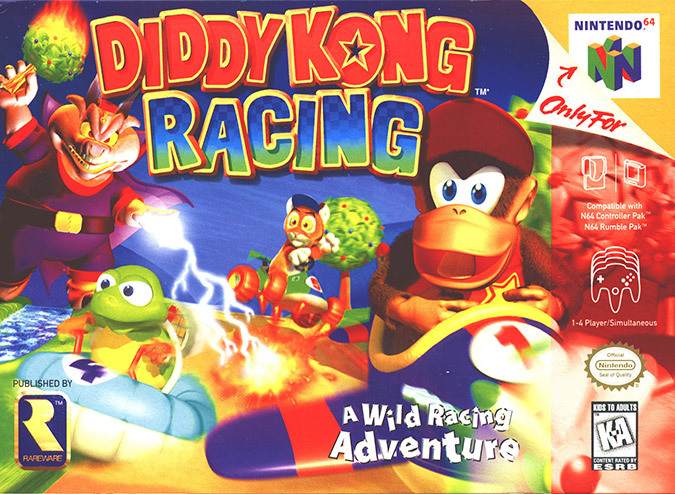 Diddy Kong Racing shook up the kart-racing genre when it arrived in 1997 and, according to some critics, dethroned Mario Kart 64 as the ultimate N64 kart-racing game. 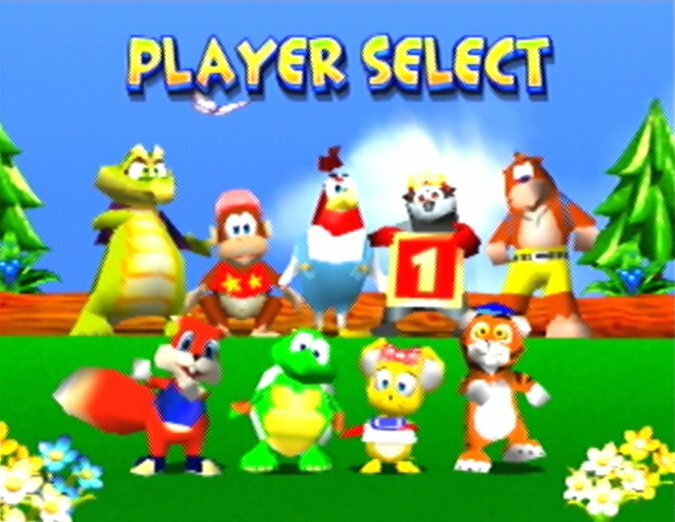 But do Diddy Kong Racing’s once genre-pioneering features – such as a single-player adventure mode and interactive hub world – still impress today? You could be forgiven for taking a look at Diddy Kong Racing’s cute, colourful graphics and assuming it’s a simplistic racer for kids. In fact, the exact opposite is true: this is a surprisingly technical game, featuring a single-player adventure mode that demands nothing short of sheer perfection in order to beat it. This adventure mode involves Diddy Kong and a cast of anthropomorphised animal friends (including Banjo and Conker) competing in races to rid an island of the evil-intergalactic pig-wizard, Wizpig. It’s hardly a gripping narrative, but it at least does a serviceable job of piecing together the gameplay challenges into a somewhat coherent series of events. 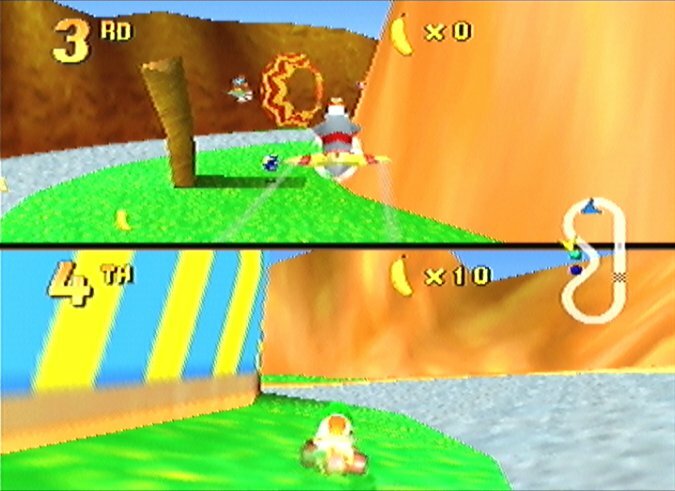 Diddy Kong Racing is a graphical tour de force on N64, sporting fully 3D character and vehicle models (except for the wheels!) and fun track designs that utilise ascending and descending landscapes to great effect. Moreover, it’s all delivered at a consistently smooth frame rate alongside quite possibly the catchiest soundtrack of all N64 games. It’s clear that this game was a labour of love for the team at Rare, featuring a number of subtle touches – such as the music adapting to reflect different characters in the select screen – that make it that little bit more special. Clearly inspired by Super Mario 64, Diddy Kong Racing incorporates a hub world (the island), which you explore in search of races and events. Winning a race awards you with a gold balloon, and you need an increasing number of these to continue unlocking tracks and progress through the game. The island is beautifully designed, featuring different biomes to explore. There aren’t many secrets to find or activities to do, but they’re nevertheless a nice distraction to pursue in between the core races. In total, there are 20 tracks split up into five themed worlds. True to the kart-racing genre, each track features a wealth of game-changing items, such as power-ups and speed-boost pads known as zippers. Diddy Kong Racing’s item system is a tad uninspired in terms of item selection and design (rockets, energy fields and mines seem out of place in the Diddy Kong universe), but this is somewhat made up for by a nifty upgrade system. Drive through a coloured balloon to collect an item; drive through another balloon of the same colour and you’ll receive a more powerful version of that item. Having the option to wait and upgrade or use an item earlier (with potentially less success) adds a nice tactical element to the game. 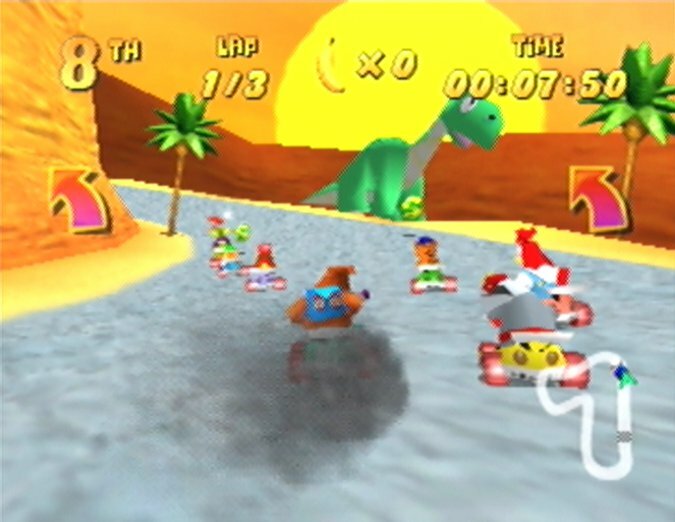 In addition to using everything the tracks have to offer, Diddy Kong Racing also requires you to master its surprisingly deep gameplay mechanics if you want to make it to the end. You can powerslide, brake-turn and even perform an advanced super-tight turn – and that’s just when using the car vehicle. 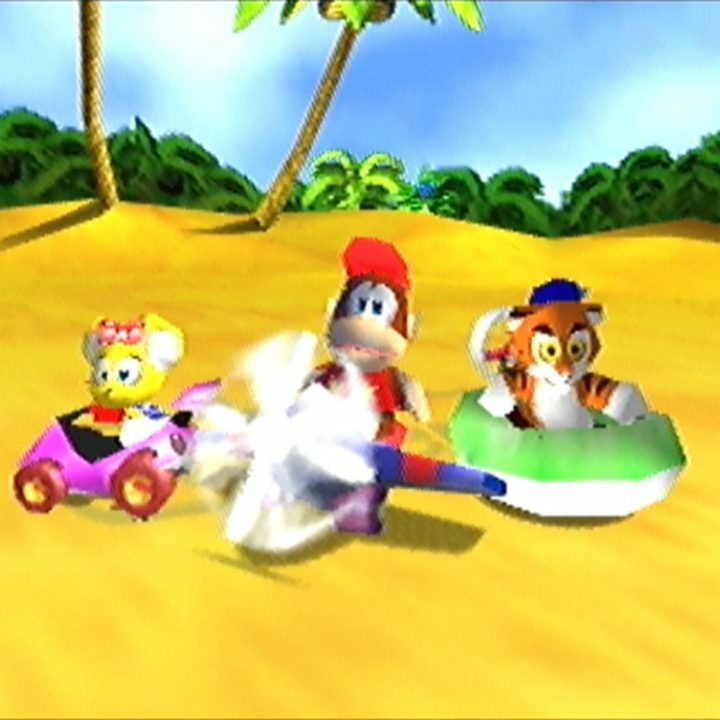 Diddy Kong Racing has, in fact, three different vehicles to choose from, the other two being a hovercraft and a plane. Learning the intricacies and advanced techniques of each vehicle (some of which are revealed as you progress) is crucial, because Diddy Kong Racing is a remarkably difficult game in places. You must come first in a race to earn a gold balloon from it – easy enough early on, but it becomes frustratingly hard to attain as the tracks become more complex and other challenges are also thrown into the mix. 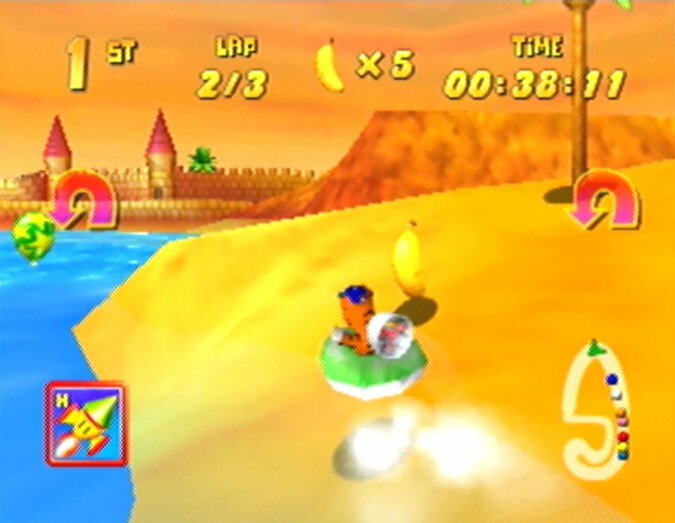 For example, Diddy Kong Racing features novel boss races in which you must beat one of the island’s creatures across the finish line. These opponents move at an incredible pace, aren’t affected by the same environmental hazards that you are, and have special abilities that negatively impact you a lot more than the items you can use on them. Making a single mistake, such as merely clipping a wall, is often enough to cost you the win. If you manage to beat a boss, you are then tasked with the gruelling Silver Coin Challenge. This involves once again coming first in every track in an area, but with the added task of collecting eight silver coins each time. Some of these coins are devilishly placed, requiring tight control and clever item usage in order to gain or maintain the lead – especially when Diddy Kong Racing seemingly doesn’t have rubber-banded AI opponents. 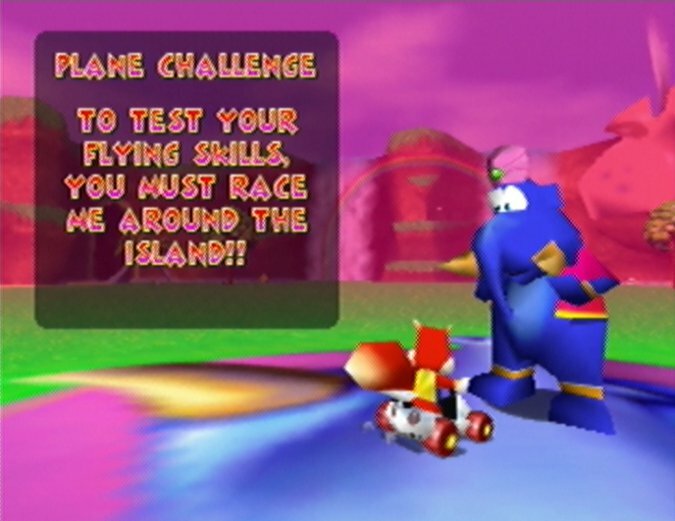 Diddy Kong Racing’s single-player mode is clearly designed to test you, and elements such as the Silver Coin Challenge, while hard, serve as a more interesting way to help you learn the tracks and vehicles. 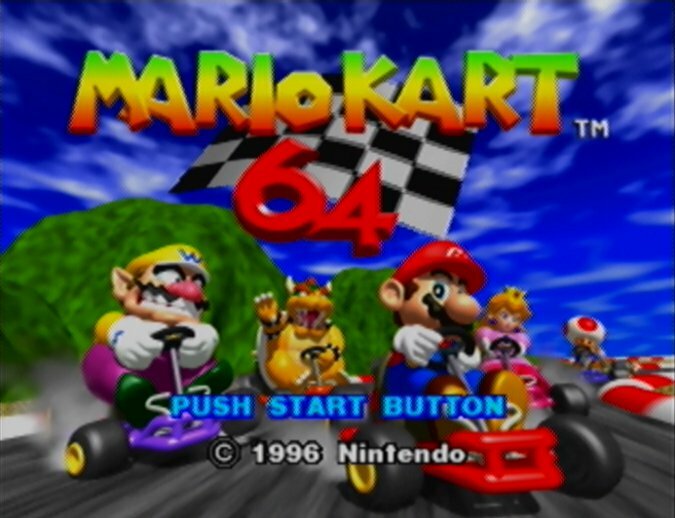 You could argue that it artificially lengthens the game, but it’s certainly a lot more entertaining than simply doing exactly the same thing over and over again, albeit incrementally more difficult, as is typically the case with most other N64 kart-racing games. The game includes a multiplayer mode for up to four players, although you must unlock the vast majority of tracks in the Adventure mode first. In a lot of the tracks, players can choose to use different vehicles from one another, resulting in some fun encounters. With just two players, you can opt to include AI racers to make up the numbers; ideal if you’re not a fan of direct head-to-head competition. 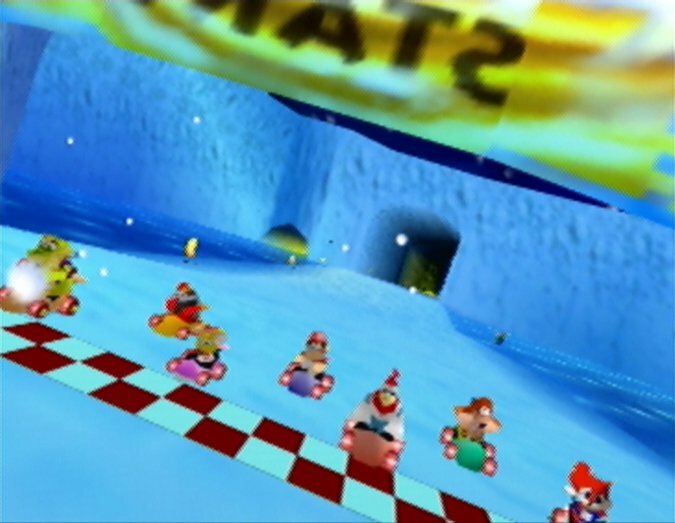 In terms of technical performance, Diddy Kong Racing’s multiplayer mode holds up for the most part. The visuals aren’t as clear, and this may prove problematic if you play the game on a large LCD/LED TV without using an UltraHDMI-modded N64. The frame rate is surprisingly solid, and while a little more sluggish than in single player, remains nevertheless consistent. This game is not for the faint-hearted: it’s incredibly challenging, and the fact that the bar is set so high from start to finish means this game has far too many frustrating moments that may put some players off altogether. Many races and special events will typically take multiple times, and you really have to learn the tracks and master the game’s mechanics in order to beat it. 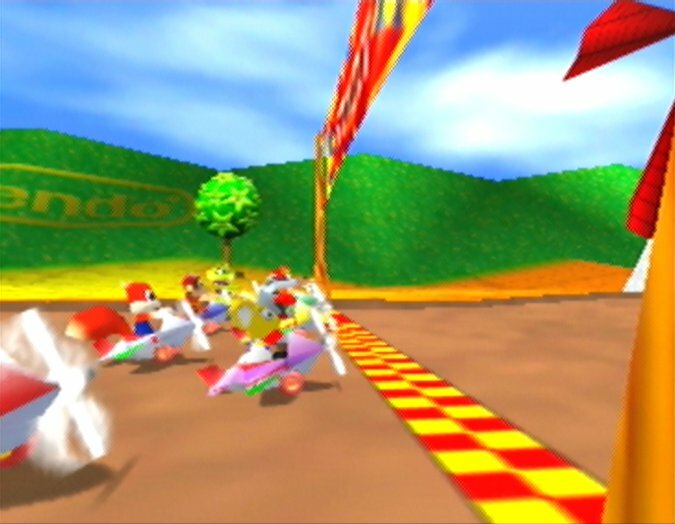 If you’re looking for a tough N64 game to conquer, then Diddy Kong Racing will definitely provide more than a sufficient challenge.